Learn how to use one of today’s strongest photography programs. Learn how this amazing program can cut down your work time, and make quick edits to photos faster and easier for you. 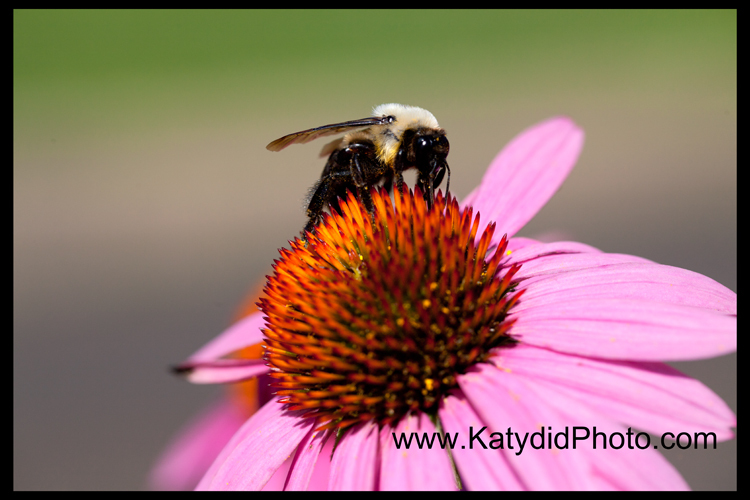 Kathy will show you invaluable ways to enhance your images. Hortulus Farm Garden & Nursery is hosting monumental kinetic sculptures of Jeff Kahn. 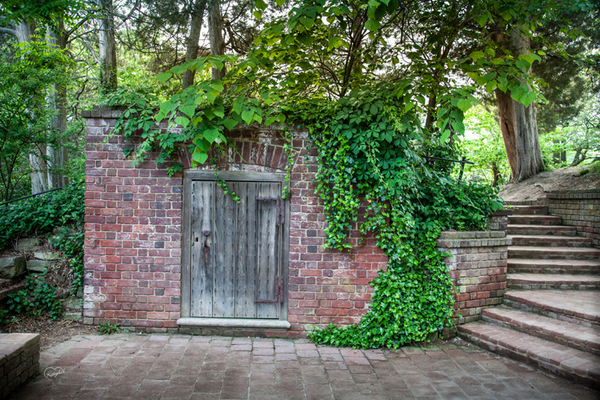 Tour this 100-acre 18th century homestead “garden with world-class charm”. Friday July 24th with Kathy Peoples. This is a Two Hour Hands-On Shooting Workshop from 10:00-12:00 pm. 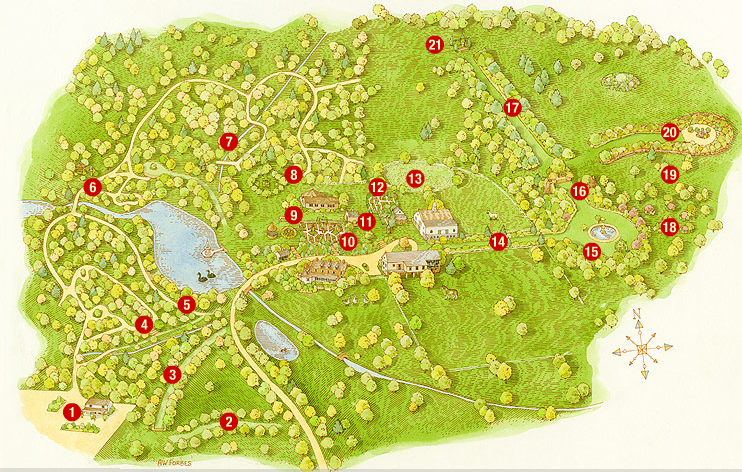 There is a $12 entrance fee to be paid by each student when you arrive. As you stroll thru these beautiful gardens, learn more about macro photography, color and composition, zooming techniques, aperture and more. Bring your questions for Kathy to answer! Join me on Friday July 17 2015 in DC for an unforgettable experience! WOW, What a Line-Up! You won’t want to miss this! 1:00-5:00PM Photograph Arlington National Cemetery, the nation’s most hallowed ground. We will spend some time touring the house which overlooks the Potomac River and the National Mall in Washington, D.C. , walk through the flower garden and visit the Robert E. Lee Museum and the slave quarters. Also see JFK’s eternal flame, Memorial Amphitheater & Tomb of the Unknowns. 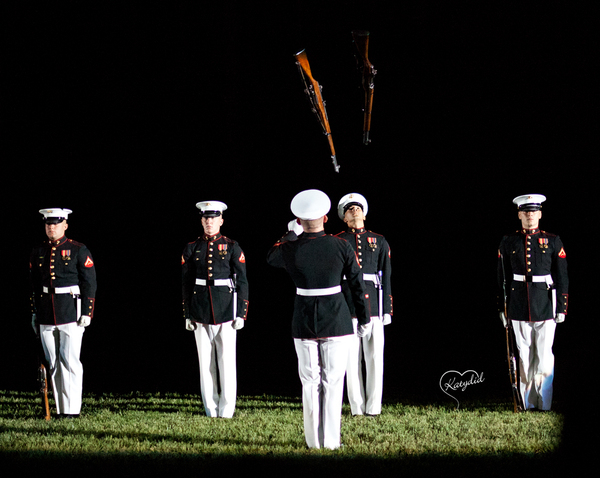 We will spend Friday evening photographing the Evening Parade at the oldest post of the United States Marine Corps, Marine Barracks, Washington DC. There you will see and photograph (the Presidents own) The Marine Corps Band, The Marine Corps Drum and Bugle Corps, and the world renown USMC Silent Drill Team (the best in the world). Learn how to shoot by spotlight, what shutter speeds and ISO to use, how to use VR/ VC/ iS properly. (Tickets for the show are included and are difficult to obtain) Only 8 tickets left. This spectacular event only occurs during the summer months on Friday evenings. If you’re interested in staying for the entire weekend, photo shoot schedule is available from Kathy at katydid photography@comcast.net. Cost is $395 for everything with all 3 days workshops. Lodging and food is separate.